Sheldon Adelson's RAWA (Restoration of America's Wire Act) was given a black eye last night after it was confirmed that it won't be attached to a "must-pass" bill in the current lame-duck session. Ever since the US elections last month there had been talks that Adelson's anti-online poker bill would be slipped through the backdoor during the Congressional transition. At the deadline for submitting bills drew closer it seemed as though the CRomnibus legislation (Continuing Resolution Omnibus Spending) would be where Adelson's cronies would be attaching the bill. According to Senator Harry Reid, if it wasn't attached to CRomnibus then it wouldn't get through and, fortunately, that's exactly what happened. 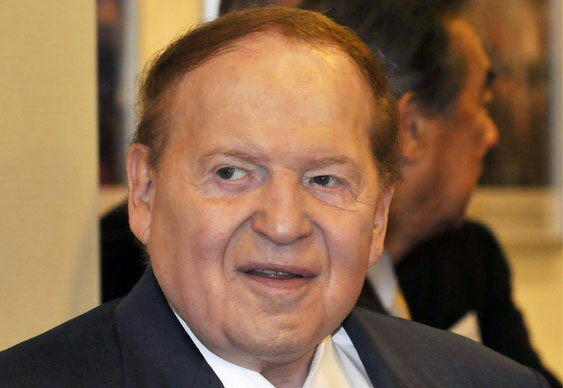 Following mounting pressure from numerous conservative groups, law enforcement organisations and the online poker community, the decision was made not to do Adelson a favour and pass a law that would kill the US igaming industry (again). Of course, this doesn't mean the industry is out of danger. However, it seem to be the case that the tide slowly turning away from Adelson in and in favour of the online poker world.